Breathe new life into your home while also enjoying extra savings with replacement windows and doors from B&E Remodeling. We're home improvement contractors offering an extensive selection of top-quality Harvey windows and equally attractive and energy efficient doors for our customers in Lancaster, York, Chester, and Berks Counties. Window or door replacement is worth considering if you want to enjoy benefits such as increased home value, lower utility costs, added beauty, curb appeal, and noise reduction. Regardless of whether your update is large or small, we've got the quality products and affordable services you need and deserve. 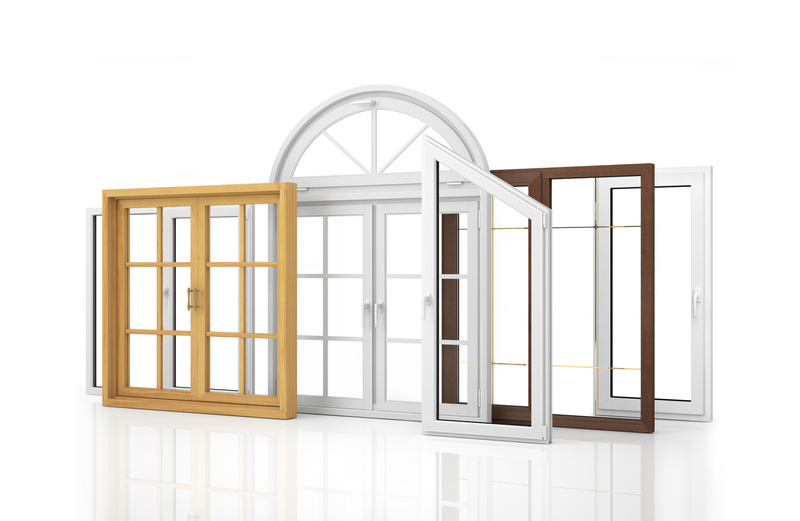 Take a moment to learn more about our replacement window and door options. We also offer Monarch Egress Windows for finished basements, wood selections, and picture windows. Our meticulous approach to measuring replacement windows means you'll enjoy a lack of unintentional gaps, no need for additional structural modifications, and a seamless blend with your existing architectural features. With Harvey vinyl replacement windows from B&E Remodeling, you'll be able to choose your preferred exterior color along with other special design features such as low-e or low-e/argon gas – which essentially creates trapped dry air that provides added insulation. Our vinyl replacement windows are also custom measured so they will perfectly fit your existing window openings. Additional options with our windows include damage-resistant fiberglass or aluminum screens, diamond of colonial grids with your choice of patter, and solar tint glass. We get windows from Harvey shipped to our Lancaster warehouse twice weekly, so you can count on a fast turnaround. Our ability to promptly deliver and install new windows can also help you out if you are planning other home improvements. Our top-quality Harvey windows are backed by a lifetime, non-prorated transferable, limited warranty on the frame and sash materials with a 20-year warranty on the sealed insulated glass unit. B&E Remodeling offers a wide selection of doors for your Lancaster, York, Berks & Chester County home, from interior doors to patio doors and a large selection of fiberglass, wood or steel entry doors. Our high-quality doors come unfinished or prefinished with many stain and paint options. Because of our diverse selection, you'll have no trouble finding an interior or exterior door that perfectly complements your home. Our skilled home improvement contractors also take careful measurements to ensure that replacement doors are a perfect fit. Our goal at B&E Remodeling is to make the process of replacing windows and doors simple and enjoyable from start to finish. Whether you're looking for versatile fiberglass doors with cold weather advantages or vinyl windows that won't be a bother to maintain, we'll help you find a solution that's right for your needs and perfect for your budget. Rest assured that we're an experienced home improvement company that takes pride in offering a high level of personalized service. See for yourself why we've earned a solid reputation for our exception customer service and high-quality products. Contact us today to learn more about our selection of replacement doors and windows from one of our home remodeling experts.